Apple on Monday unveiled the latest iteration of their mobile operating system during the company’s keynote speech to kick off WWDC 2013. 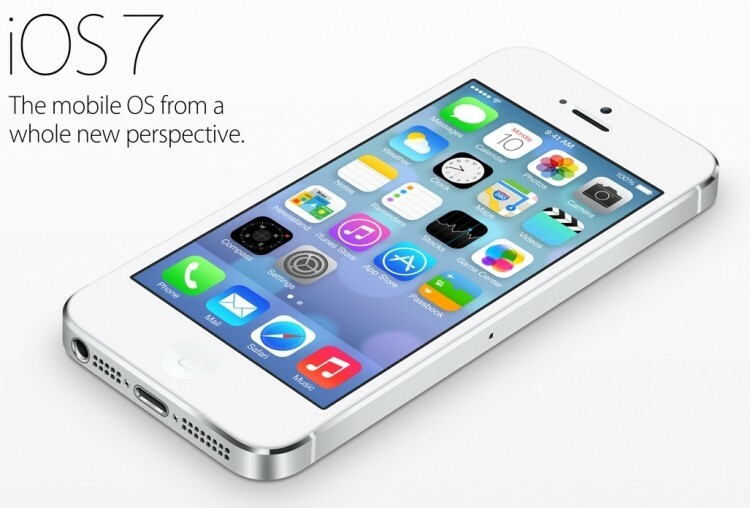 As anticipated, iOS 7 delivers a massive overhaul led by Jony Ive, senior vice president of industrial design at Apple. The software does away with the "green felt and wood textures" from past releases in favor of a simple and flat design. CEO Tim Cook described iOS 7 as the biggest change to iOS since the introduction of the iPhone, packed with new features and an all-new user interface. For starters, there are all new icons, a new color palette, revised fonts and subtle use of translucency throughout iOS 7. It’s immediate right away via the new animated unlock screen which you simply slide up to unlock. At the home screen, users will notice a new 3D interface that reacts to the way the phone is positioned, allowing you to see the wallpaper “behind” icons. The Weather app with animated background now allows you to swipe through locations and pinch to see all of your notifications at once. In mail, photos are shown edge-to-edge with the ability to swipe to see messages and swipe on an individual e-mail to delete it much like Gmail. Other system-wide changes include a new slide-up control center to access switches like brightness, Wi-Fi, Bluetooth and even a flashlight. This function works within apps as well as at the home screen, we’re told. Folders now feature multiple pages which you can scroll through by swiping. Those unhappy with Apple’s implementation of “multitasking” up to this point will likely appreciate the new approach in iOS7. Moving forward, all apps will support multitasking with updates taking place automatically in the background. “Smart” features built into multitasking monitor app activity and can issue updates at the most opportunistic times and adapt to specific network conditions. Users can now swipe between apps via a card-style UI reminiscent of webOS. Safari has been updated with automatic full-screen browsing, smart search fields, an all-new tab interface, parental controls and iCloud keychain support. Safari users will be able to navigate through browser history via swipes and can access a list of shared links and reading lists with ease. The visual tabs are especially interesting as they improve greatly on the current system and allow for more than eight simultaneous tabs. A new camera and photo app includes integrated filters, swiping between photo and video controls as well as a new sorting feature known as “moments.” With moments, iOS 7 can automatically organize images based on when or where they were taken. Users can zoom in and out to different levels, meaning you could zoom out and see all of the photos you took in a given year at a single glance. Siri has been updated in iOS 7 with a new voice that’s said to sound much more lifelike. Furthermore, the automated voice can now be changed to a male tone but it doesn’t stop there. Siri also has a lot more functionality in iOS 7 such as the ability to adjust system settings and search Twitter and Wikipedia for information. AirDrop for iOS allows iPhone 5, iPad 4th generation, iPad mini and 5th generation iPod touch users to share content with other iOS users via the Control Center. As Apple put it, there’s no need to wander around bumping phones together to share content – an obvious jab at Samsung. Apple unveiled a new music player that will ship as part of iOS 7 that comes with iTunes Radio integrated in it. This is the music streaming and discovery app (iRadio) that everyone has been talking about over the past few weeks. It works a lot like Pandora and allows users to create custom radio stations based on a specific song and share stations with friends. iTunes Radio will allow users to buy any song they like from iTunes on the fly and even check out an entire history of all songs they’ve streamed. It will be available for iPhone, iPod touch, iPad, iTunes on Mac and PC as well as on Apple TV in the US initially. It’ll be free with ads or completely free for iTunes match subscribers. FaceTime Audio will allow iOS 7 users to carry out high-quality audio-only conversations over Wi-Fi while separate functions enable users to block phone, FaceTime and messages from those they no longer wish to communicate with. Activation Lock is a new security feature that prevents a thief from reactivating your phone, even if they turn off Find My iPhone or wipe the device. That’s because it requires them to know your Apple ID and password – information a random thief isn’t likely to know. iOS 7 is available to developers in beta form for iPhone starting today. The general public will have to wait until this fall to download the update, however. When it drops, it’ll be compatible with iPhone 4 and later, iPad 2 and later, iPad mini and the 5th generation iPod touch. The list of changes is extensive as Apple said they weren’t able to cover everything during the presentation. To that end, we likely won’t know much more about the new operating system until developers begin to leak out information in the coming days / weeks.